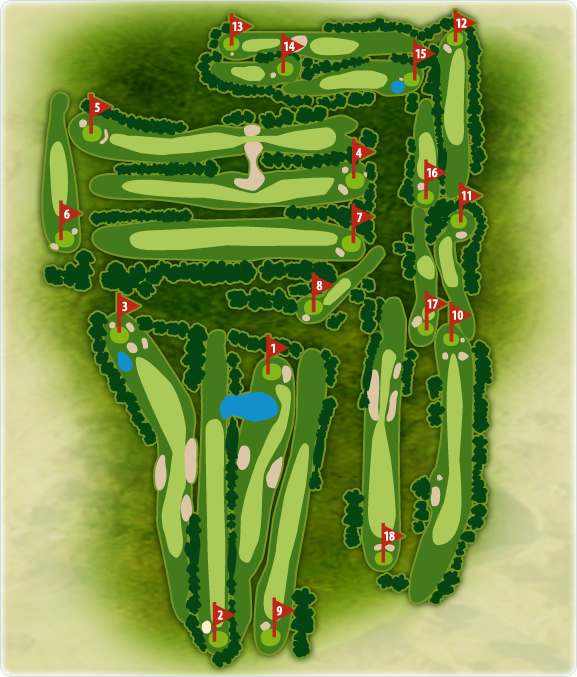 Par 71 course, it features 6066 yards from the longest tees. The course rating is 70,1 with a slope rating is 122. The first nine favors long hitters while the back nine, narrow and rugged, requires accuracy on tee off shots. Attention on several greens, when evaluating the speed of your putt, take into account the gravitational pull exerted by the presence of the St-Lawrence River.